Another image from our evening walk with the mutts for you today. 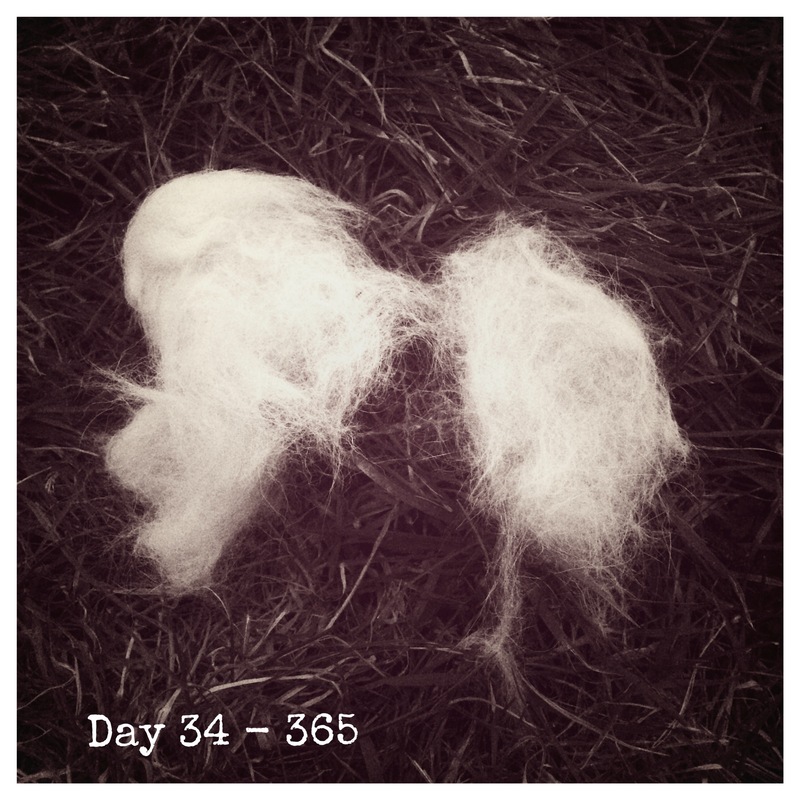 I spotted these pieces of fur or fluff laying on the grass. They looked, to me, to resemble a pair of angel’s wings. This is the exact way I found them, no artistic manipulation at all. As it was drawing dark, the brightness of the shapes was quite vivid against the darkening grass, furthering the impression of heavenly wings. Or, maybe an angel had been cast out of Heaven, and these are his discarded and redundant wings. That may mean their is a demon at loose in the cemetery.